What grammar schools really mean for SEND. Dominic Hauschild, Advocacy Assistant from the Driver Youth Trust writes about the UK Government's latest announcement regarding grammar schools. Over the past week the Prime Minister Theresa May announced that she is planning on lifting the ban on Grammar Schools first introduced under Tony Blair in 1997. In a blog on the Driver Youth Trust website, I analyse what this will really mean for learners with Special Educational Needs and Disabilities (SEND) such as Dyslexia. Grammar schools themselves have been shown to be exclusionary: as a government report has shown Grammar schools are far less likely to take on SEND pupils, with just 0.1% of statemented pupils in Grammar schools. Evidence has shown also that the 11 Plus is not only irrelevant and intrinsically unfair, but also that there is an ingrained class bias that favours middle-class families, and as statistics from the Growing Up in Ireland report shows, prevalence of SEND is far higher in children from working-class backgrounds than their middle-class counterparts. In my blog I use more statistics from Government reports, OFSTED and others to explore what Grammar schools will really mean for SEND learners, and ask that if many types of SEND are likely to impact a pupil’s ability to pass an entrance exam, why are we still allowing such an exclusionary practice? 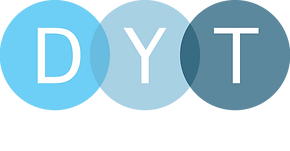 The full blog can be read here, and more blogs and latest news can be found on the Driver Youth Trust website.